As the Washington Legal Foundation has explained, “[t]he right to enter into agreements concerning the use of a patented invention on any terms that do not extend the patent’s scope is one of the oldest and most secure of all patent rights.” That right, however, has lost most of its meaning with the Supreme Court’s recent decision in FTC v. Actavis. In Actavis, Solvay Pharmaceuticals obtained a patent for its brand-name drug AndroGel. Later, Actavis and Paddock filed applications for generic drugs modeled after AndroGel pursuant to the Hatch-Waxman Act. In their applications, Actavis and Paddock certified that the generics would not infringe Solvay’s patent, as they were challenging the validity and scope of the patent. Solvay sued Actavis and Paddock, claiming patent infringement. The FDA eventually approved Actavis’s generic product, but instead of bringing its drug to market, Actavis entered into a “reverse payment,” also known as a “pay for delay,” settlement agreement with Solvay. Actavis agreed not to bring its generic to market for a specified number of years. Other generics manufacturers made similar agreements with Solvay. The Eleventh Circuit held that pay-for-delay settlements like those between Solvay and these generics manufacturers generally are “immune from antitrust attack so long as [their] anticompetitive effects fall within the scope of the exclusionary potential of the patent.” That is, they would be insulated from antitrust problems so long as the agreement allowed the generics manufacturer to enter the market upon expiration of the patent. The court reached this conclusion out of concern that “antitrust scrutiny of a reverse payment agreement would require the parties to litigate the validity of the patent in order to demonstrate what would have happened to competition in the absence of the settlement;” a so-called “turducken task” of “deciding a patent case within an antitrust case about the settlement of the patent case.” Shortly after the Eleventh Circuit ruled, the Third Circuit, in a similar case, held reverse payment settlements presumptively illegal. The Supreme Court granted certiorari on the Eleventh Circuit case. In the majority opinion, Justice Breyer responded to the Eleventh Circuit’s concerns about the “turducken task,” noting that antitrust litigation need not necessarily involve an analysis of patent validity because “[a]n unexplained large reverse payment itself” could suggest the invalidity of the patent. A court then need only look at the size of the settlement payment because its magnitude would be inversely proportional to the strength of the patent. As invalid or narrowly circumscribed patents have no monopoly power to exclude non-infringing generics manufacturers, a settlement which allowed a holder to do so would be clearly anticompetitive. The Court ultimately held that reverse payment settlements in patent infringement litigation can sometimes violate the antitrust laws. Further, such settlements are not immune from antitrust attack, even if the agreement does not exclude competitors from the market any longer than the patent would. 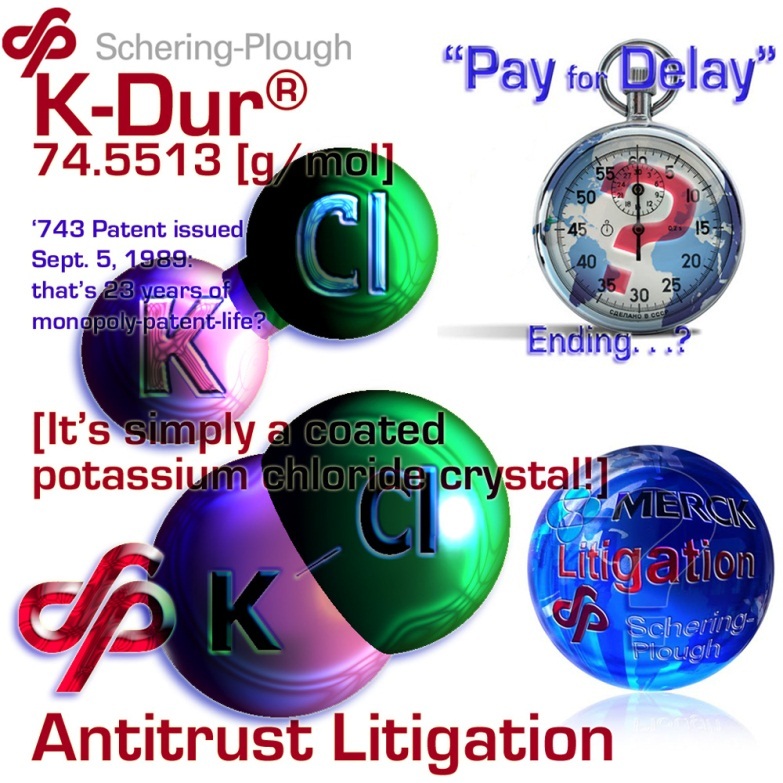 Where before, patent holders could enter into settlement with generics manufacturers, avoiding litigation costs and ensuring that the remainder of the patent life is free from challenge, patent holders now, to avoid antitrust scrutiny, must devote considerable resources to defend their patents from potentially frivolous litigation by generics manufacturers. Indeed, patent holders have much to fear from the Supreme Court’s recent decision in FTC v. Actavis. Should Courts Use Urban Dictionary to Define Slang?